A couple of issues ago, we told you about the musical projects members of the muzic.net.nz team are involved in. Since then, we have had two new members join our team and today we'd like to tell you about their musical projects. Jason McIver plays guitar and sings lead vocals for Auckland band Heathen Eyes. Heathen Eyes formed in 2010, quickly cutting a 5 track demo which received nationwide airplay. They were placed second in the 2011 NZ leg of the Global Battle Of The Bands. They are currently in pre-production before recording their first official EP for release. You can read the review of their single Ocea here. Jess Reeves is the bassist for Auckland band Blackleaf Gardens. Blackleaf Gardens are a four piece experimental/progressive metal band which bring crushing riffs, groovy tunes and chaotically progressive rhythmic sounds together with catchy bipolar vocals delivering screams to lullabies. Winners of The Flat FM K.I.L.L competition in 2012 and grand finalists of the Battle of the Bands in 2013, Blackleaf Gardens' debut album is due for release in November 2013. Jess was interviewed for Blackleaf Gardens in September 2012, and you can read the interview here. Independent Music New Zealand is proud to announce that the Going Global Music Summit 2013 will include the following seminar sessions in Wellington, Auckland and Christchurch. Additionally, Masterclasses are also available to registrants in Wellington and Auckland; see below for further details on these. The Big Day Out is back next year and 2014 also marks the 20th anniversary of the festival in New Zealand. Today, The Rock releases The Rock FM - 20 Years Of The Big Day Out 1994-2014, a compilation of 20 of the best tracks from some of the biggest rock acts to play at the Big Day Out over the last two decades. Featuring tracks from international heavyweights including System Of A Down, Soundgarden, Blur, The Offspring, Muse and Korn, as well as local acts Shihad and Head Like A Hole, The Rock FM - 20 Years Of The Big Day Out 1994-2014 is not only a great piece of memorabilia of the festival’s New Zealand history, it is also the must-have album for every rock music fan. 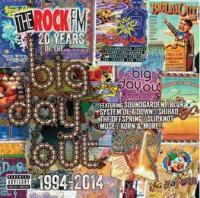 The Rock FM - 20 Years Of The Big Day Out 1994-2014, is on sale now on CD and digitally via iTunes. This year’s National Country Music Awards winners are Kaylee Bell, Dennis Marsh, Cooper’s Run, Cameron Scott and Kiwi legend Tony Williams. On Saturday 17th August, in front of a capacity crowd at Hamilton’s Founders Theatre, Kaylee Bell received the award for Best Female Country Artist, Dennis Marsh won Best Male and the Best Group Award was taken out by Hamilton’s Cooper’s Run. The Business of Independent Label Management Pilot Program is now calling for Applications from Australia & New Zealand. RELEASE, the dynamic new five stage program designed to assist independent label owners from Australia and New Zealand grow their businesses, is now calling for applications. 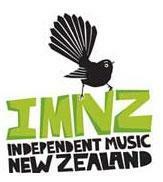 Independent label owners from both sides of the Tasman are encouraged to apply. The program is presented by the Australian Music Industry Network (AMIN), and supported by Australian Independent Record Labels Association (AIR) and Independent Music New Zealand (IMNZ). 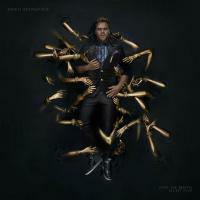 Funding has been provided by the Australian Government and the New Zealand Music Commission. RELEASE will incorporate two residential labs to be held near Sydney, the first from 26-29 November 2013. Music industry advocate and lawyer, David Vodicka, will MC the first residential lab, working with a number of music and business advisers including Sebastian Chase, Colin Daniels and Nicole Duckworth. All of our reviews and interviews can be read here. The next muzic.net.nz newsletter is going out on Sunday 15 September! There are only 6 issues left for 2013! Muzic.net.nz newsletters are currently sent out to over 8125 members! The next muzic.net.nz gig mail out is going out on Sunday 8 September.